Today, Vivo has announced about the launch of the latest Vivo V11 smartphone in India. This new smartphone will be coming to the market with the price tag of Rs 22.990. This phone will be sale online via Flipkart, Vivo India EStore as well as all other offline channels which are across the country from midnight September 27th 2018. 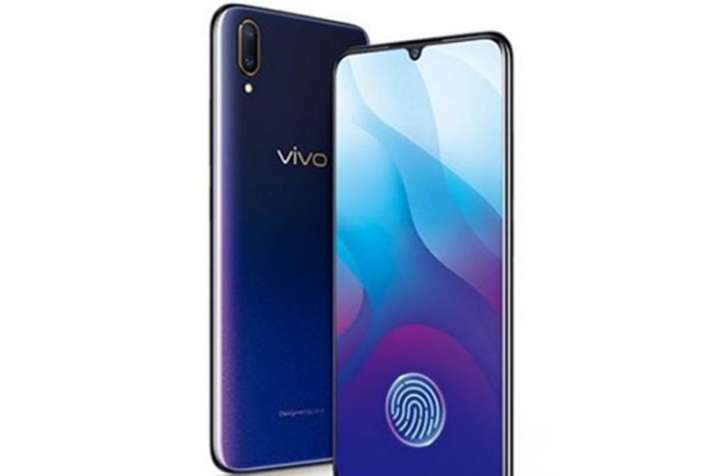 The phone will be available in dual-SIM Vivo V11 which will be running on FunTouch OS 4.5 which is based on Android 8.1 Oreo along with the company’s new Jovial engine. The smartphone will be getting a screen of 6.3-inch full HD+ with SUPER AMOLED display along with the aspect ratio of about 19:9. This new smartphone is said to get powered by the Mediatek Helio P60 processor which is paired with the 6GB RAM. The phone will be available with 64GB internal storage that will be further expandable with the help of the microSD card slot. When it comes to the camera, the phone will be having the dual camera setup with a combination of about 16 MP primary lens. It comes with the f/2.0 aperture as well as 5 Mp secondary shooter with f/2.4 aperture. On the front side, there will be a 25 MP shooter which comes with the f/2.0 aperture. The phone will be coming with lots of different modes which includes Slo-Mo, Time Lapse, PPT, Professional, Live, bokeh, AI backlight, AI face beauty, AI scene recognition, Google Lens, HDR and many other features. It will have a 3315 MAH battery capacity. The phone will get support 4G VoLTE. The other connectivity features include Bluetooth 4.2, micro USB. Wi-Fi, GLONASS, GPS, OTG and 3.5mm audio jack. The phone has got the price tag of Rs 22,990 and will be available for users from 27th September. The phone is said to get the colours like Nebula Purple as well as Starry Night Black colour options. The company has said that this new smartphone was made in India. This phone comes with a series of offers that includes a flat 5 percent cash back with Capital first. In Paytm, the user can get about Rs 2,000 cashback coupon if they purchased it using the Paytm Mall QR code in offline stores, flat Rs 2,000 cashback on HDFC bank credits as well as debit cards. Flipkart is too giving a buyback guarantee with one-time screen replacement of screen damage.